Whether you're looking for an affordable condo, a classic beach cottage, or a luxury oceanfront estate, our wide inventory of Kill Devil Hills and Nags Head vacation rentals allows you to find the perfect accommodations for your needs and your budget. Kill Devil Hills and Nags Head are considered the heart of the Outer Banks, full of restaurants, shopping, and family friendly attractions, including the largest sand dune on the East Coast, Jockey’s Ridge State Park. A wide selection of pet-friendly vacation rentals means the whole family can enjoy a beach vacation, even the four legged members. Looking to get away for a long weekend? Select homes offer mini vacations. Many of our homes offer fabulous views of the Atlantic Ocean, the Wright Brother’s National Memorial, and the Albemarle Sound. 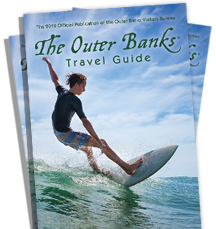 Browse our website or contact one of our knowledgeable Vacation Specialists to begin planning your Outer Banks beach vacation today!